I'm in the same situation, I wasn't thinking of St Jean in November, so I missed the tours. So I decided that I'd head down on the 18th for the commencement parade, I figured there's enough people walking around campus that day that I could slip by unnoticed. If you are talking the college, there is not much to tour. It is small and you can see most in about 10 minutes. I'm currently in the same situation. 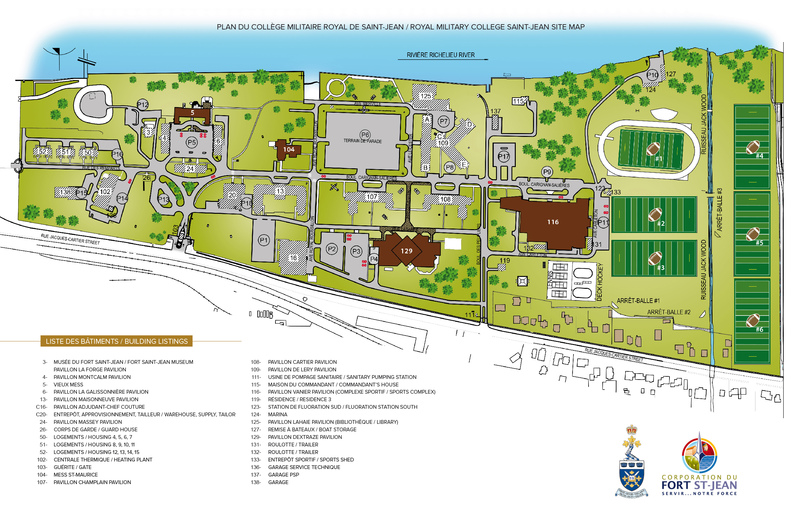 I was wondering how many students are studying at CMR St-Jean? About one hundred and twenty. OP, As it was already pointed out, there isn't much to see. A few buildings, the remnants of the old fort (subtle clues...), historic signs, and the odd Tank or plane, which are purely commemorative. It's a small but Beautiful campus. The best one could do is check out pictures, or contact he liaison officer. AFAIK there aren't any until November again. We'll all be seeing it in detail in about 60 days anyway, what does it matter?